We can make buying a home a realistic option for you and your family with IBA’s affordable, simple and personalised loans and financial services. So you can take ownership of your home and your future. have a source of financial security and independence, now and for the future. 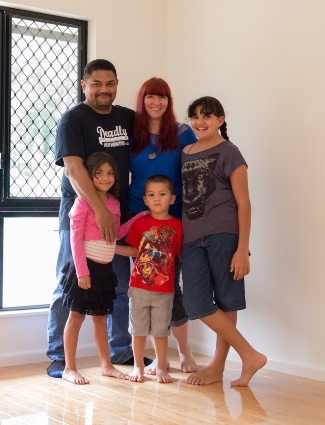 IBA can help make home ownership a reality for Indigenous customers who want to buy their first home but cannot qualify for loans from a bank, credit union or other specialised lender. The McGinness family have constructed a home that suits the changing needs of their young family. Home Ownership Information Sessions – come along to an information session in your area.